Excite Face Set is a combination of three exceptional Collagen La Pure products: Collagen, Collagen Sheet and Nano-Water. 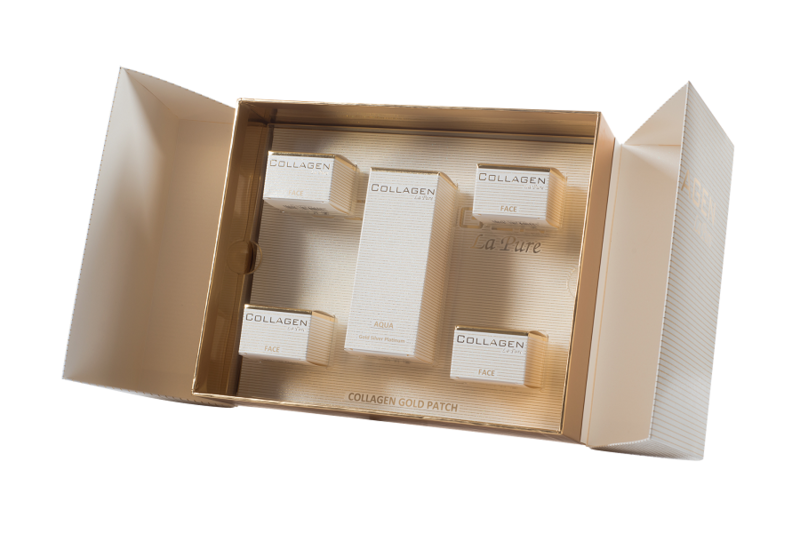 The basic element of the set is the impeccably pure Collagen La Pure Face, which ensures the highest permeability. Collagen moisturizes, regenerates, reduces minor wrinkles, improves the general skin condition and restores its young look, making it smooth and full of energy. 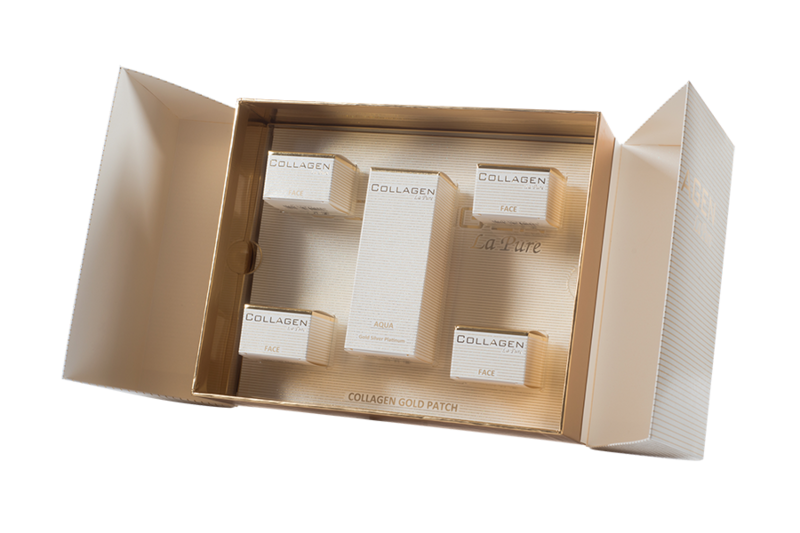 Collagen La Pure Sheet with gold molecules is responsible for maintaining constant humidity and proper temperature during the treatment. In these conditions, peptides obtained from the decomposition of active collagen easily penetrate deep into the skin, stimulating its regeneration and promoting tissue reconstruction. With molecules of precious metals such as gold, silver and platinum, Nano-Water fixes the final result of the treatment and ensures its long-lasting effect.